Dyson, I think I love you. I think we’d all really be disgusted to know exactly how much dirt, dust and debris fills our homes. After several years with an less than ideal Oreck that I loathed, we made the plunge to this beauty. I did a little test. This afternoon I vacuumed the downstairs with the hated Oreck. This evening I vacuumed again with the new Dyson Animal. Yes, it was as I predicted. I filled the canister downstairs alone. Then again upstairs, thanks to dogs and two weeks with no bags for the Oreck. Christmas, lots of guests, and lots of being at home bring a lot of dirt into the house. I’m not a clean freak by any stretch of the imagination. I do prefer a clean home. Bathrooms are my weakness. Mopping floors are a close #2. Vacuuming I’m ok with, mainly because the house feels cleaner with freshly vacuumed floors. And now with the Dyson, I’m able to see how much crap was sucked up. YES! Here’s five stars from me. Thank you Dyson. Part II – baseboards, molding and fans…I can only imagine. Once you go Dyson you NEVER go back! Seriously, we’ve had ours for awhile now and while it was hard to pay that much for a vacuum–we now wonder just what the heck our other vacuums were doing? LOL! B/C they seriously weren’t getting what the Dyson does! 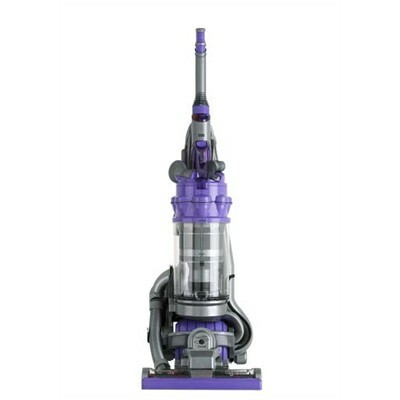 We LOVE Dyson and we cannot lie….